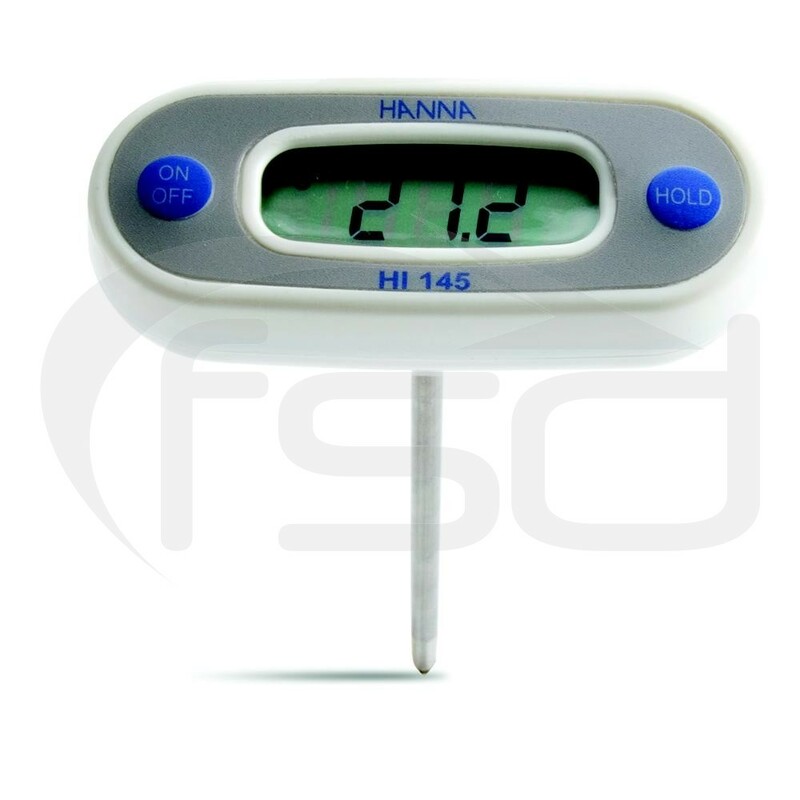 A T-shaped thermometer which features an extended temperature range (-50 to 220 °C) making it ideal for both chilled foods and hot oil temperature checking. Its very high accuracy +/- 0.3°C is unusual in an instrument in this class. The waterproof case seals against the ingress of water and steam. It features touch sensitive On/Off and Hold switches and a clear fully protected LCD digital display to read the temperature. An additional feature is that when switched 'On', the HI-145 performs a calibration test at 0°C to confirm that the thermometer circuit is correct.